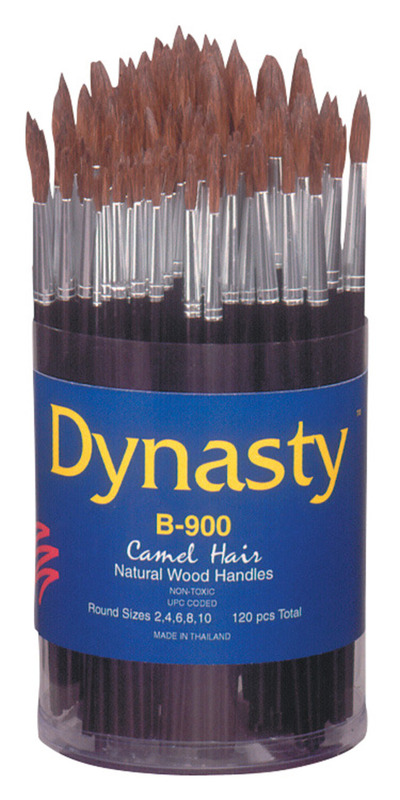 Dynasty B-900 Paint Brush Set comes in a cylinder containing 24 each of 2, 4, 6, 8 and 10 sized round brushes. 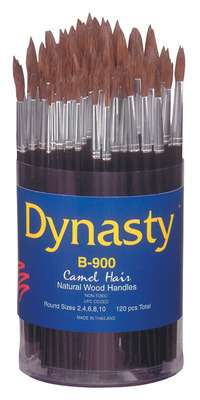 Fine camel hair brush ideal for water coloring has short wood handles and seamless ferrules. Sold as 120 per set.